While I know my DML Central blogging colleagues and I try to stay abreast of the educational, social, and economic implications of digital media on the lives of young people today, sometimes actually asking teachers what they use, learn with, and feel inspired by illuminates most brightly the role of technology in schools. As such, I was pleased when on Sunday, I was able to co-host a Twitter chat with many of my dearest friends from across the country: members of the National Council of Teachers of English (NCTE). As a bit of background, I recently helped create the Studies in Literacies and Multimedia Assembly (SLAM) within NCTE. 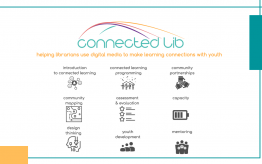 This organization is focused on driving research, pedagogy, and practice around the uses of multimedia (digital and otherwise) within English classrooms. As part of the roll-out of this new assembly, I asked several SLAM members to help me in guiding a conversation with English teachers about the roles of multimedia and — in particular — thinking “beyond the screen.” And, though there were a staggering number of tweets during the chat (which you can follow along with here), I want to emphasize a few important themes I heard from educators Sunday night. A plethora of resources were shared with educators during the hour-long chat. From numerous accolades on uses of Google Docs in classrooms and Padlet to uses of broader networked engagement, English teachers seemed to highlight how to utilize technology within and across classrooms. #nctechat I'm no technophobe. I use digital media in my classes yet we need to be mindful of Google's and Pearson's profit motive. While we may often be hyper-aware of the digital demands in our classrooms, I believe that multimedia tools should be utilized in ways that foster powerful relationships between students, teachers, and the larger school community. As such, what relationships do you foster vis-à-vis the multimedia used in your classroom? As the new SLAM assembly launched at the last annual meeting in November, I am hopeful that this branch of NCTE can continue to shape the ways multimedia are utilized in English classrooms, digitally and non-digitally, for powerful and critical purposes. Though the chat is finished, I invite you to also take in the myriad voices of English teachers that participated last week through this archive. Further, I’m concluding this post with the eight questions that guided our dialogue, if you would like to chime in either on Twitter or in the comments below. Finally, if you’re interested in continuing to engage in digitally-mediated dialogue with English teachers, the #NCTEchat takes place the third Sunday of each month at 8 p.m. Eastern. Q1: Share one multimedia text or tool you couldn’t teach without. Q2: how does your use of multimedia move student learning “beyond the screen”? Q3: Describe a multimedia text or experience that has moved you recently — moved to laughter, tears, reflection, action. h/t @elemveee. Q4: How do you use digital tools to amplify to quieter students’ participation? Q5: What are the most exciting changes you’ve seen with learners because of the inclusion of digital tools? Q6: How can digital media create opportunities for students to explore their interests and connect with communities outside the classroom? Q7: What are some ways that digital media tools can be leveraged to address issues of equity? Q8: What questions and ideas will you carry with you from tonight’s chat about the use of multimedia “beyond the screen”?